This is a must for all petrol-heads, kids of all ages, everyone ... just go and see it! Don't make apologies for wanting to go! Just do it!!! What I wonderful time I had ... the history, the images, the feeling .... rows and rows of automotive brilliance! It is one of those places you race around, eager to see what is next ... this model, that version .... and that one! I understand that there is a simulator now ... that about seals it for an extension to my trip in 2016 ... exciting!! Please note: While the detail below is extracted from the official websites use this data only as a guide and refer to the actual relevant websites for verification. Open all year round from 09.30 to 18.00 [April to October from 09.30 to 19.00]. The Museums are closed on the 25th December and 1st of January. Free: disabled and children up to 5 years of age. When purchasing a combined ticket for both Museums, a special discount of €4.00 applies. 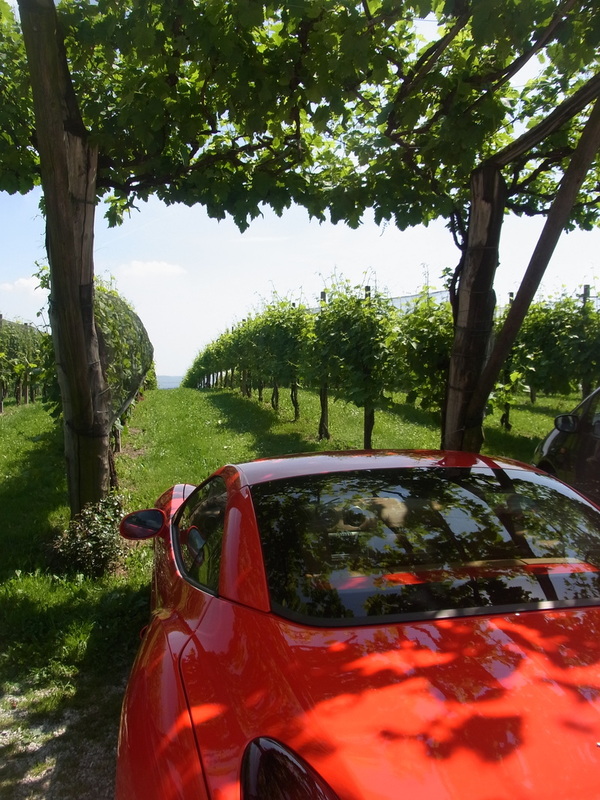 There was a gathering of the 'famiglia di Ferrari' at Valdobbiadene, home of Prosecco .... though I'm not entirely sure about the mix of high-powered cars and bubbly! Would they even miss it if I took one for a ride?